Standard specifications,some special specifications can be customized. 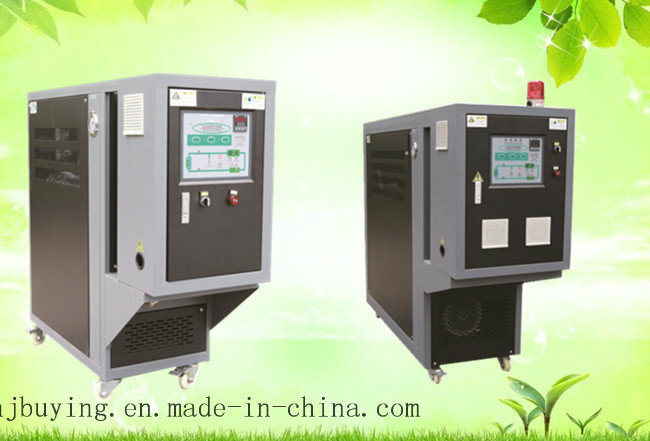 The oil temperature machine is based on oil as aÂ medium of heat transfer of mold temperature machine. The oil temperature machine has an oil storage tank. It is an cycle that heat conduction oil from oil storage tank into the system at work by the circulation pump into the mold or other need to temperature control equipment. And then the heat conduction oil from the temperature control equipment will returns to the system again. When the temperature is lower than the set value, the heater began to work, when the temperature after reaching the set value, and stop working.Â Â In the process, if the oil temperature is too high, the system will activate the solenoid value to let cooling water cool down the temperature directly until the water is down to the system requirement. If the temperature keeps increasing and reach to the set point of EGO, system will sound high pressure alarm and stop operation. if oil pressure falls down below the set point the system will send aÂ signal of low level alarm and stop working. 3. We are always working hard on the most reliable packing in order to help you get the Perfect products. 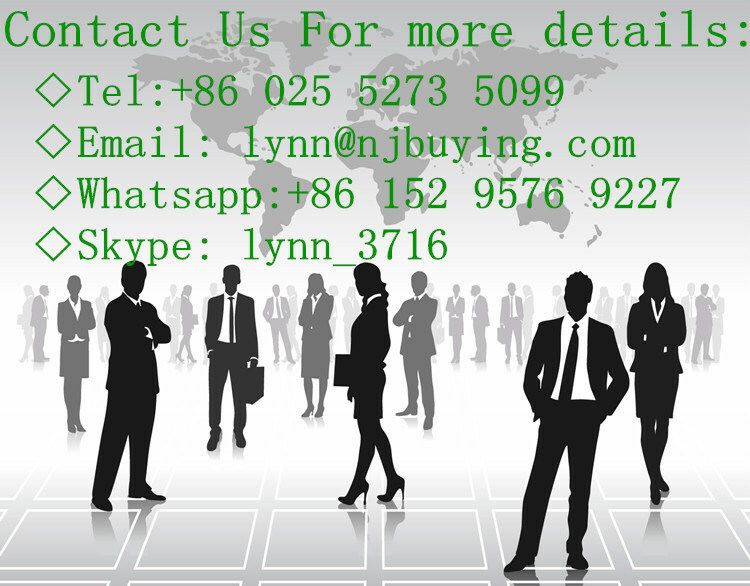 NANJING BUYING INDUSTRIAL EQUIPMENT CO.,LTDÂ is specialized in R&D, manufacturing, sales and service for industrial plastic molding auxiliary equipment and industrial refrigeration equipment. To meet the social development demands, BUYING is making every efforts to develop aÂ new generation of products, which is power saving, environment protecting, safer and reliable. Not only the appearance is beautiful, but also it is economic and durable. BUYING dedicated to improve industry working efficiency and product quality, to create much more profits for every customer, to reach aÂ win-win result. 1.A professional sales team,experienced engineers, advanced manufacturing equipment,particular production technology;BUYING strictly implements ISO9001 Standard in all pretation;Pass SGS and CE quality guarantee system keep and assure customer products and delivery time. 2.Supply specialized installation guidance and after services that anytime and any country if customer need. 3.Reply your inquires within 24 hours anytime and anywhere. Customer need is the most important;Customer benefit is our benefit;Our grow from company credit and working duty for our new and old customers. The oil temperature machine is suitable for the auxiliary production engineering plastic material, plastic products. The oil temperature machine first preset to the temperature needed for injection mold, aÂ lot of time for the high quality product, reduce the raw material test. Mold temperature machine accurately to reduce waste, the quality and production, is an indispensable tool in injection molding industry. 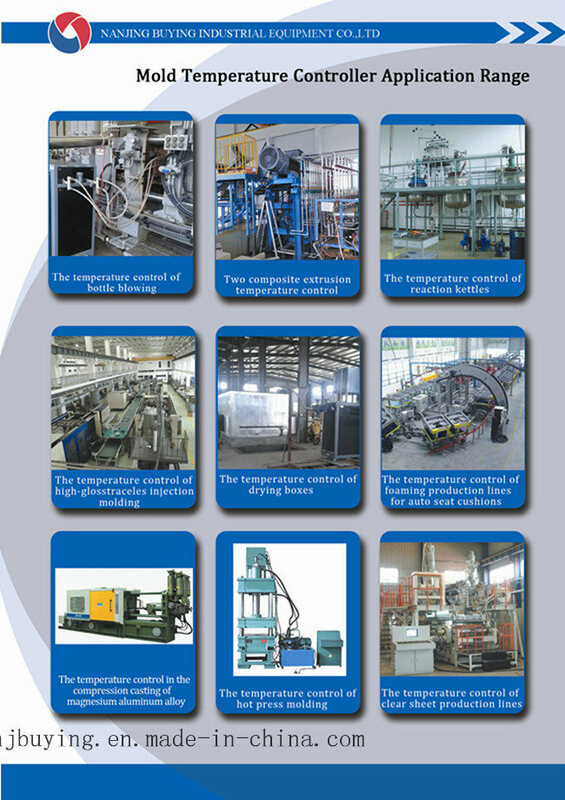 It is mainly applied to heating up and temperature maintenance of mold. It also can be applied to other fields with the same demands. 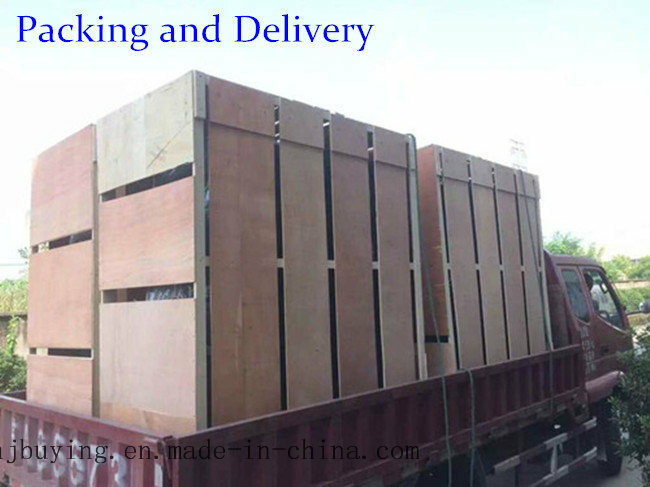 High temperature oil from the mould is returned to the cooler for indirect cooling. Then the oil will be sent to the mold after being pressurized by pump and heater pipe, which realizes heating and temperature maintenance of the oil. In addition it can ensure stable temperature control with the type of controller. For aÂ quick, no hassle quote just send email to us. We promise to reply with aÂ price within 24 hours -Â sometimes even within thehour. 2. May IÂ know the status of my order? 3.Can IÂ use our own brand logo on the products? 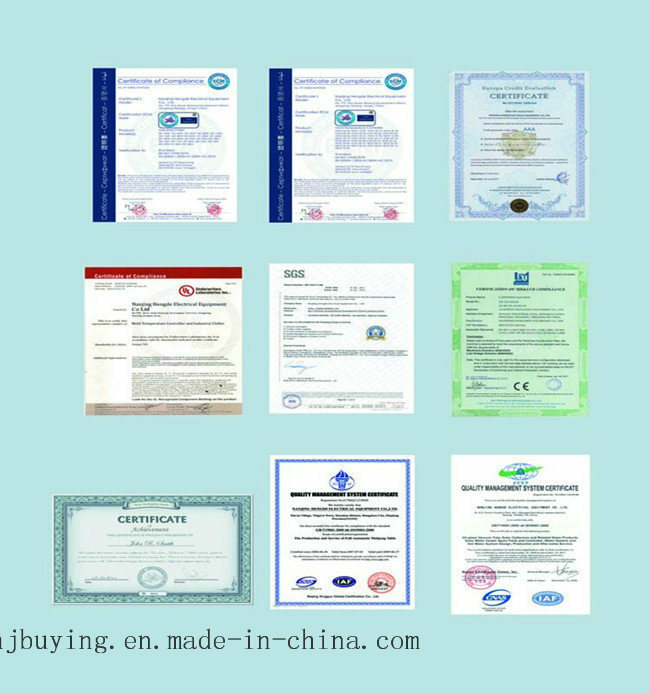 We accept FOB, CFR, CIF, EXW etc.You can choose the one which is the most convenient or cost effective for you. 3) Other payment terms are negotiable. One year, all spare and accessory parts of products will be free.